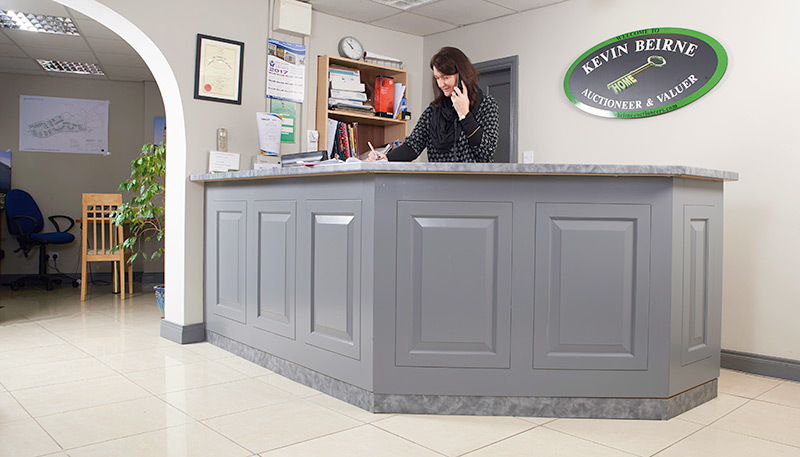 Kevin and Theresa Beirne established as a family Auctioneering practice in 2005 in Castlebar, with a focus on Core Values of Service, value for money and supporting every client with tailored requirements on each sale. 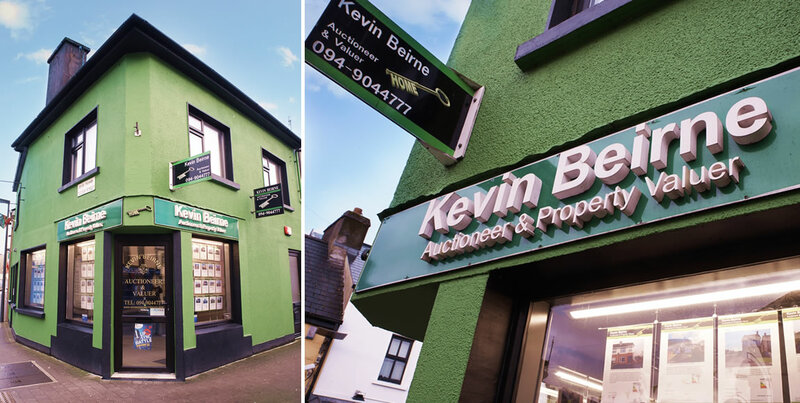 12 years on, we are now the biggest selling auctioneer in Mayo, achieved by having realistic prices and so meet our client’s expectations and we employ 3 staff in our Town Centre location. We are members of IPAV and have a close working relationship with the large offices including Savilles, Ganly Waters, Lisneys and DTZ. We have maintained our independent status because we feel we can be more flexible in our approach and margins. We are currently the biggest selling Auctioneers in Mayo of Residential & Commercial properties. We are affiliated onto the Valuation panels of AIB & BOI. We are qualified Tegova valuers. We have also kept our brand independent of National Brands as we feel it has worked exceptionally well. Our offices are located on the junction of Tucker Street, New-Antrim Street & Linenhall Street in Castlebar town centre. The building is steeped in history as Michael Davitt held meetings here in the 1870s which led to the foundation of the Land League. The building has been know as “Land League House” ever since. We have extensive window display spaces with all under night lighting. Castlebar is home to numerous industries/ Public Services i.e. Baxter Healthcare, Michael Davitt House, Newly constructed Primary Healthcare Building, Mayo County Council. Westport is home to Allergan Pharmaceuticals, Portwest & numerous 5 star Hotels. We would have a large database of employees in these institutions looking to invest in property in the general Mayo area.